The Pentel Mechanical Pencil sets an industry standard in drafting pencils, and is designed to meet the demands of both professionals and students alike. The lightweight plastic body features a 4mm fixed sleeve, which is perfect for template work and drawings. 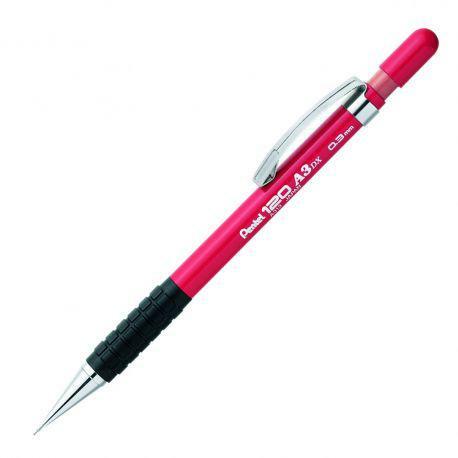 The Pentel Mechanical Pencil also includes and eraser underneath the top cap, as well as a rubber grip for improved control and a sturdy metal clip for fastening to documents and clothes. It's great for everyday writing and drawing. Available in four nib sizes: 0.3mm, 0.5mm, 0.7mm and 0.9mm.